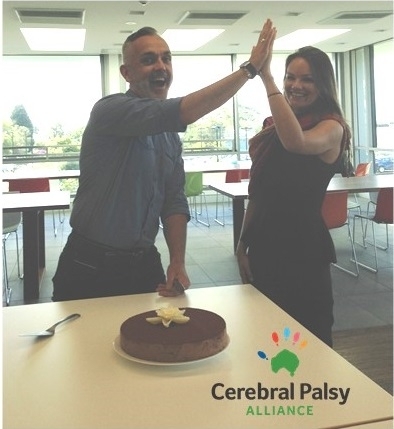 Fundraising at work is a fun and easy way to raise money for Cerebral Palsy Alliance and also raise awareness about people living with a disability. ...and get your whole workplace involved. We can send you out some Cerebral Palsy Alliance balloons to help add a touch of green (for cerebral palsy) to brighten up your workplace and promote your fundraiser. We help you bank the money afterwards and send your organisation a certificate. Below are some tried and tested ideas for workplace fundraising. Of course you are welcome to fundraise in your own unique way too! Ask the boss if you can hold a mufti day for the whole office. Staff can donate cash or donate to your online fundraising page in return for wearing casual clothes! Friday is a great day to hold this on and you could also organise office Friday drinks afterwards to get in the weekend mood. This is a very popular and easy fundraiser to hold at work! Ask some colleagues to help with the cooking and choose a time to host your event. Promote it in the lead up and include information about cerebral palsy and what motivated you to fundraise for Cerebral Palsy Alliance. Create an online fundraising page and email out the link to your page, asking people to make a donation. This way those who can’t make it to the event can still donate too! People can donate cash at the event too and we'll help you bank it afetrwards. 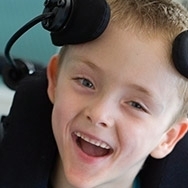 Some organisations donate a percentage of sales on a monthly or quarterly basis to Cerebral Palsy Alliance, or let their clients know they support Cerebral Palsy Alliance with a message on their invoices - inviting people to add a donation to their invoice amount. Many organisations now make a donation instead of sending out Christmas cards and gifts. They send an e-card advising clients and suppliers that they are supporting Cerebral Palsy Alliance. Many organisations have a match-funding program, where they match dollar-for-dollar the amount employees raise for charity. Ask your employer if they have a program like this, and double your dollars! Check if you’re allowed to update your email signature by adding your fundraising page link and give all your contacts the chance to support your fundraising efforts. Tregloans Chartered Accountants raised money by holding a staff casual dress day. Blue Toro Mobile Mechanics Hornsby ask their customers to make optional donations via their invoicing and have donated $500 since 2016. 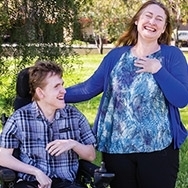 The generous staff at Frankipile Australia Pty Ltd and Keller Ground Engineering Pty Ltd make small weekly donations (the cost of a coffee) until enough money is accrued to help purchase a life-changing piece of equipment. In 2016 their donation helped provide a powered wheelchair for a 12 year old boy living with cerebral palsy, who was on a wait-list. Since 2009 Frankipile Australia Pty Ltd and Keller Ground Engineering Pty Ltd have donated over $64,000. Don’t want to create a fundraising page/fundraise offline?